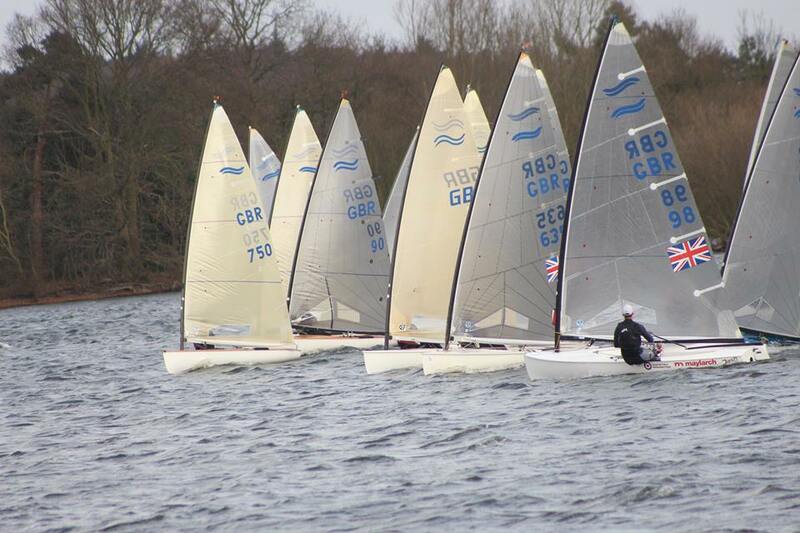 Alton Water sailing club, near Ipswich welcomed 30 Finn sailors for the first event of the 2017 Travellers Series. 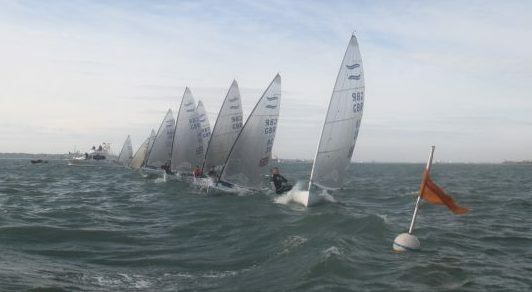 The first of four scheduled races got underway under a black flag but not before several of the fleet prematurely set off on the four minute gun and although they continued to sail the race they were later BFD’d!! 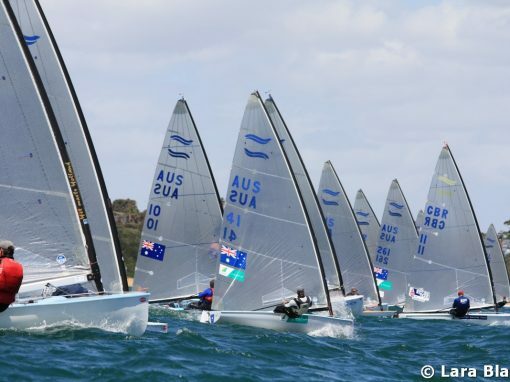 18 knots of breeze at times allowed pumping throughout and Cameron Tweedle took advantage and took the win from Allen Burrell in second and Cy Grisley in third. The race officer Martin Pavey again resorted to a black flag to get the second race underway however this time all the fleet stayed the right side. By this time the breeze was still gusting around 18 knots and as expected shifting across the whole course, real snakes and ladders stuff!! Jack Arnell showed solid pace both upwind and down and took the win from John Greenwood followed by the ever present Cy Crisley. The third race again started under a black flag with the breeze starting to soften in places which required a more subtle form of sailing technique, John greenwood mastered this and took the win from Allen Burrell with Cy Crisley in his accustomed position of third! When the last race of the day and the breeze was down, Didge Everett from Harwich Town had a great start, hitting every shift going to lead nearly all of the race but was finally caught by Cameron Tweedle, with Jack Arnell taking third. After a superb days racing it was down to the pub to watch England lift the grand slam, that went well………! Sunday morning came and the breeze was full on – at least 25 knots easily 30 in shifty the gusts. Some competitors decided to remain on dry land and watch from the safety of the shore. 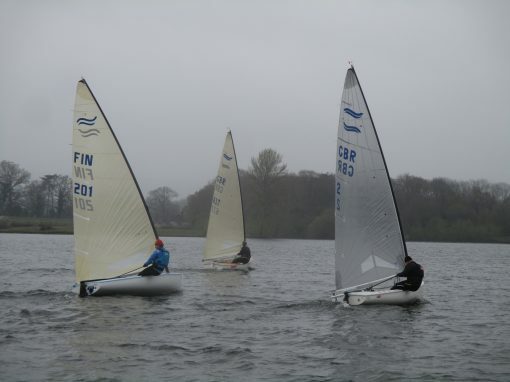 Here they were treated to some real ‘crash and burn’ sailing!! The first two races followed a very similar pattern Cameron Tweedle taking both wins from Simon Percival in second and John Greenwood in third, plenty of the fleet had all been for a swim at this point – invariably after a gybe and had decided enough was enough. The third race was again dominated by Cameron Tweedle who took first place from John Greenwood despite several capsizes with Allen Burrell in third again. Plenty capsized Finns kept the rescue crews busy. 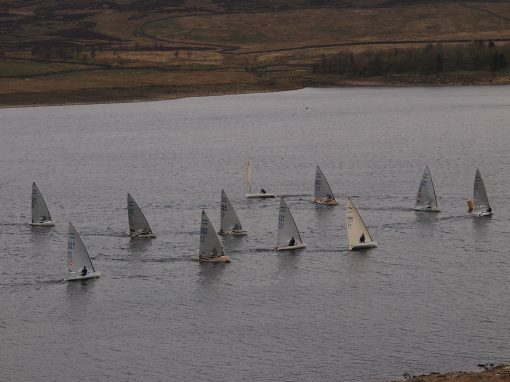 The final race was shortened to a two lap sprint much to the delight of the by now tiring fleet. Simon Percival took an opportunity to gybe at the final mark in impressive fashion whilst the leaders Allen Burrell and Cy Crisley tacked safely round, as a result Simon Percival grabbed a deserved win from Allen Burrell and Cy Grisley. Cameron Tweedle won the event from John Greenwood and Simon Percival and thanked the race team for some great racing and the rescue teams for some great rescuing! 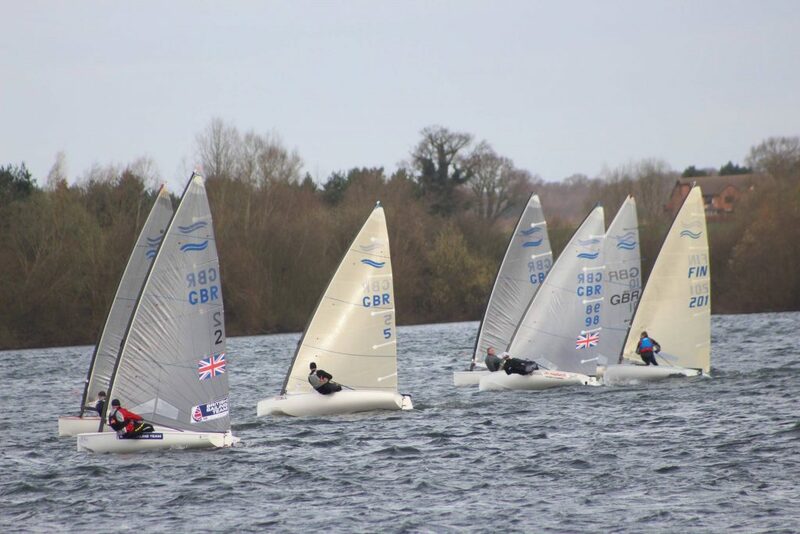 Alton Water centre lead by Centre Manager Stewart Berry always make the Finn fleet very welcome and were hugely professional and efficient with their organisation. Thanks also to Will Patten for helping set-up the event and to Susi Patten for taking the entries and handing out the prizes. 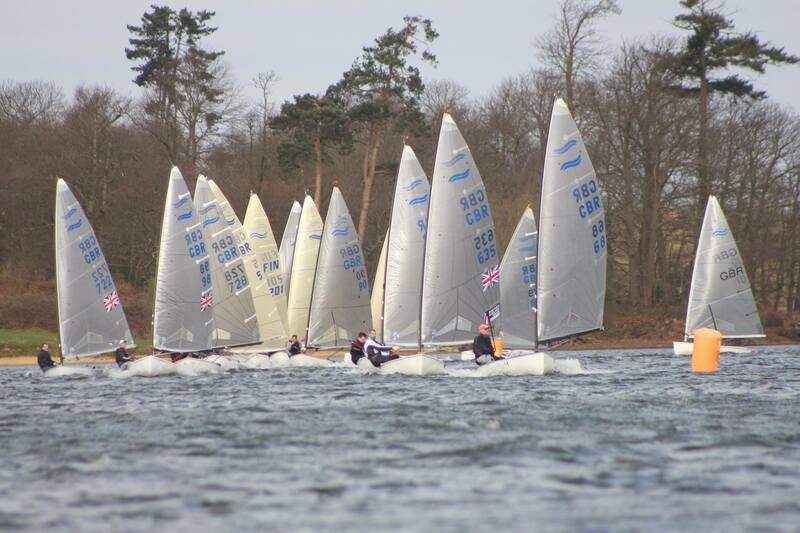 A great weekend was had by all, I’m sure the fleet will return if the conditions could be guaranteed!